With over 500 million active users and rising, Instagram is quickly becoming one of the top social media platforms. To challenge their rival Snapchat, Instagram just recently released its story function. The story allows certain content to stay visible for only 24 hrs, much like Snapchat’s story function. However, with Instagram being dominated by brands/business the story function is becoming a marketing power house. In this article we are going to go over exactly how to use Instagram stories for marketing. Why Does My Business Need This? Relaxed Content – No one is going to expect a master piece. Instagram Stories allow for less formal content, all you need is some inspiration and creativity. Giveaway/Coupon – Increase traffic to your products by showcasing coupon codes that are only available for the 24 hr period. If your looking to create serious heat for your story, creating giveaways is a great way to increase views. Links – Instagram just recently added the feature to add links to your stories content. This means you can drive traffic to your newsletter, youtube channel, or product all in one swift maneuver. With a large following base you could generate serious traffic. Testing Ground – With the ability for users to directly message from the story, brands can get direct feed back about possible products or services. This type of feed back is exactly what you need to create the best user experience. Brand Image – Show off the personality of your brand. Use the Instagram Story function to show case your staff, locations, current projects and anything else you can think of that will give your brand a voice. Now followers have an emotional connection with your brand. They will know who you are and what your like through the content you share with them. Make sure to create the proper image for your brand. 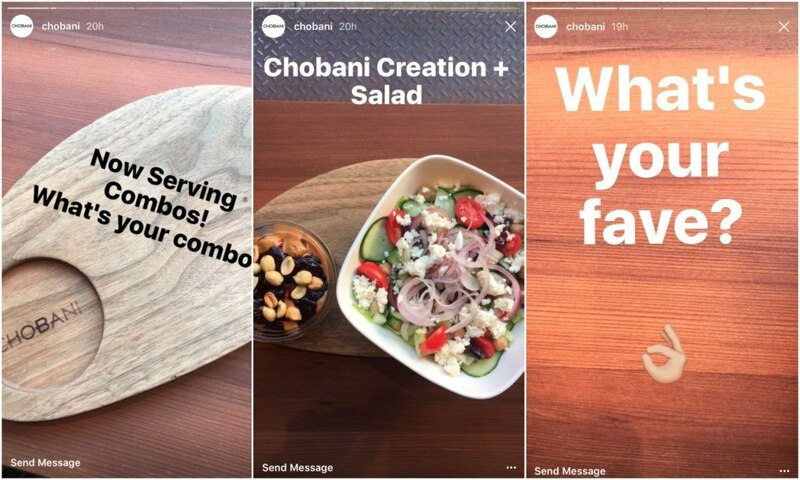 Instagram stories are quickly becoming a brands dream tool. 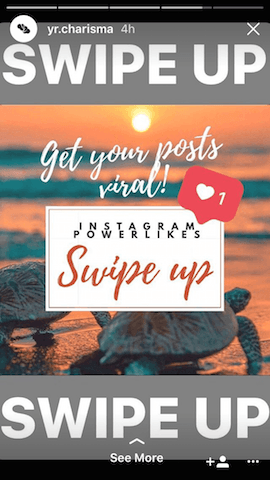 The ability to connect with followers and drive traffic almost instantaneously is truly powerful. However, just like posting you cannot spam your stories with promotions or offers. Instead you must create an organic and natural story, using appropriate times to promote. Instagram Stories allow brands to show case their personality. Much like Snapchat, Instagram has given you features and filters so that you can draw and edit your content all from the app. In addition, Instagram has come out with add-ons such as boomerang, hyperlapse, and layout. But it the creativity does not have to stop there. Instagram has access to your camera rolls, so any image you have recently uploaded to your phone will be available to upload to your story. Simply swipe up when in the story function and your last 24 hrs of photos will appear. This allows the use of photo editing apps outside of Instagram such as Canva or Phonto. Instagram also allows 15 sec of video to be uploaded to your story. A lot can be done in 15 sec, what will your brand do with yours? Instagram stories may be temporary but the connections they make with the audience are not. Creating quality stories that show real behind the scenes look at your business are key to humanizing your brand. Gary Vaynerchuck (@garyvee) is an inspirational entrepreneur. HIs account is full of motivation, inspiration and quality content driven to invigorate the young entrepreneurs. Gary applies these same values to his story. Gary’s personality is the image he sells, so he is never afraid to step in front of the camera or talk to his 2.1 million following. Instagram’s algorithm is constantly changing in order to keep the explore page as organic as possible. The algorithm also makes it very easy for your post to get lost in the viral social nebulous that is Instagram. However, the Instagram Story function enables you to rise to the top of the news feed for your followers. In addition, the less people they follow that use stories the higher your story will rise in the news feed. Post at peaks times of engagement, this will ensure that your story is getting the highest number of views possible. Just like post however the older they are the farther down the list they go. In order to stay at the top of the story feed you need to be posting consistently throughout the day. Posting new content puts you right back at the top of the feed and keeps the traffic on your story constant. Continuously posting content an your account drives users away. They become numb or sometimes annoyed by your content. Luckily, Instagram Story allows for an alternative avenue for content. Spacing out your account’s post between actual feed and story time line enables for constant posting without desensitizing the audience. You should not worry about over posting on your stories. Stories are a unique way to share creative content. Also, if you users wish to skip through stories they can simply tap the screen to skip certain photos. Stories allow for the sharing of quick and creative content. The newly released Instagram Live function allows for real time sharing of video. Very similar to Facebook LIve, Instagram Live enables users to watch video and engage with the accounts in real time. Although live video does give you less control. One advantage of Live Video is that it notifies your followers when you have started one. Also the story icon changes to a distinct look. 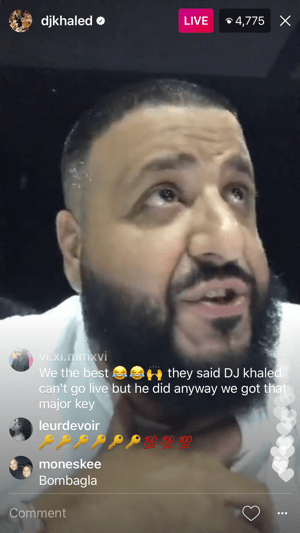 Due to the fact that Instagram Live Videos happen infrequently Instagram has pulled out all the bells and whistles to notify followers when one is occurring. Live videos are typically a very interactive format. The account user should respond and acknowledge the followers that are engaging with them. 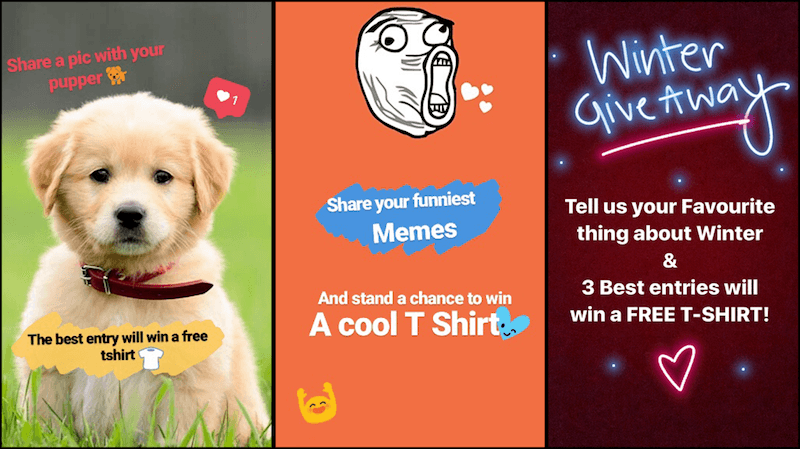 Many brands use Instagram Live for contests, giveaways, hosting Q&A, live tutorials and much more. But in all these instances users will be engaging and expecting responses. When it comes to driving traffic from Instagram to your website, there is little you can do. Previous to the new Instagram Story Link feature, accounts were only able to showcase their website in the profile bio link. This made it incredibly difficult for brands/business to generate traffic to other locations. 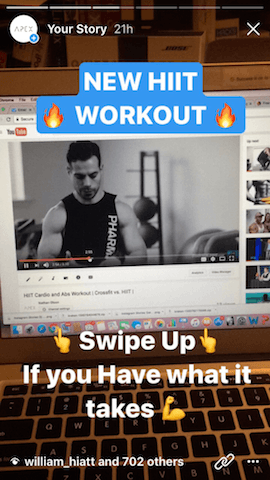 Now with Instagram Story Links, accounts have the ability to convert and drive traffic all in one function. Accounts can start generating traffic to their Youtube Channel, Facebook Groups, Website, Products/Services, and so much more! Accounts have gotten creative with their Story CTA’s, examples above use phrases like “Swipe Up” or another popular one is “Link in Bio’. These CTA’s are vital in order to have the user take action. 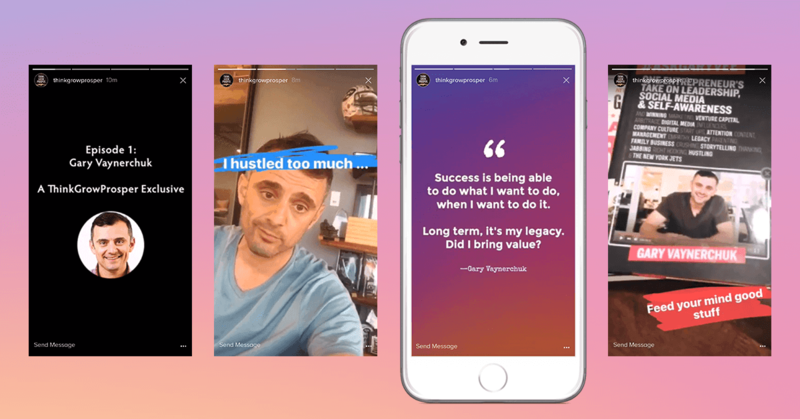 Just like CTA’s in Captions, having these same principles applied to Instagram Stories for marketing will drastically increase traffic and therefor leads. Instagram is becoming a massive social media super power. The social media platform has over 500 million active monthly users and is growing every year. While Snapchat only has mere 150 million active monthly users, it would behoove your brand to learn Instagram Stories for marketing first. Instagram Stories have become a social media marketers dream. Not only does this function give an avenue for alternative content and the ability to drive traffic to multiple locations. But it allows for the humanization of a brand or business. The 24 hr time line gives a behind the scenes look at the inner workings of the brand/business. This short glimpse is all that is needed for followers to start creating an emotional connection with your brand. However, to become a master of Instagram Stories for marketing you have to dive in! The only way to understand what content your audience engages with is to test! Keep in mind that content is very brand dependent. If you get stuck look to influencers in your niche for helpful ideas. But remember to be creative! The content only last for 24 hrs so this is the perfect place to experiment and test out new ideas! This is your brands chance to show case it’s personality. Start putting time and energy into creatively telling your brand’s story. Do you have some Instagram Story Secrets? Leave a comment explaining how you have come to master Instagram Stories for Marketing and what methods you involve in your marketing campaign.